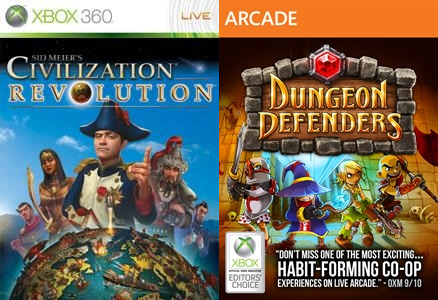 Xbox Live Gold Members get Civilization Revolution and ..
March's set of free games for Xbox Live Gold Members are Sid Meier’s Civilization Revolution and Dungeon Defenders. 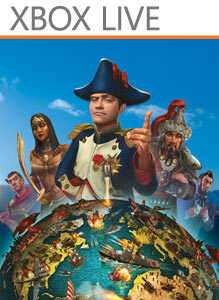 Starting Saturday (March 1st) Sid Meier's Civilization Revolution (Normally US $29.99) will be free for Xbox Live Gold members through March 15th . Then on March 16th, Xbox Live Gold Members can download Dungeon Defenders (Normally US $14.99) for free. 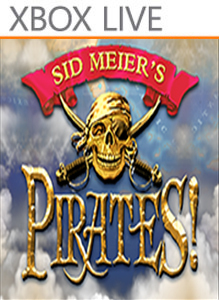 Follow us on Twitter, Facebook, Google+ and YouTube to find out what games will be free each month. For more information on each game, please visit the 360-HQ Xbox 360 video games database and follow us on Twitter, Facebook, Google+ and YouTube to find out what Xbox 360 games will be free each month. Looking for information on the latest Xbox ONE video games, game trailers and other info? Join us on XBOXONE-HQ.